Abacre Antivirus - Abacre Antivirus is new generation of antivirus software. It reliably protects computers from internet viruses worms and Trojans, macro viruses and old executable viruses. It? ?™s reliable, stable, fast, low CPU load, and it has reasonable price. Abacre Photo Editor - Enhance your scanned or digital photos, make color correction, resize images, covert them in variety of image formats and prepare them for Web. Abacre Photo Downloader - Quickly find and download pictures from Web sites. Specify URL of web site with photos and pictures (JPEG and GIF). Then program downloads images in multiple threads into given folder. Preview downloaded pictures. It saves hours of web surfing. PDF-Pro - Create PDF files quickly and easily with PDF-Pro. PDF Batch Convertor, Page Merger and Splitter, Batch Encryptor, Bookmarks and Hyperlinks, Watermarks. All features in one package. Player CEREMU SUITE - Player Ceremu Suite is a sound player for WAV, AIF, AU, and MP3 audio files. It is also a movie player. Play DivX, AVI, MPEG1 and MPEG2, VOB, WMV, and DVD. 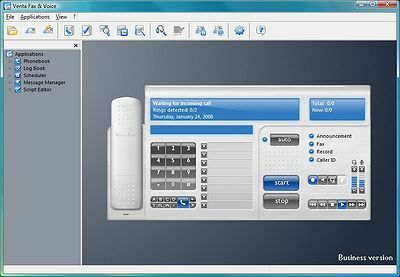 Features an MP3 encoder, a ZIP compressor, a file encryptor, and a rapid launch menu.